According to the White House's announcement, Melania will joint President Donald Trump for a hurricane briefing at Federal Emergency Management Agency (FEMA) headquarters in Washington. Four days later, the White House announced that she had been hospitalized to treat a benign kidney condition. In essence, she removed herself from public life for almost four whole weeks, making her absence unusual even for the notoriously private person. Nevertheless, CNN's "Reliable Sources" newsletter on Monday led with a giant graphic of a calendar, placing question marks on each date since Mrs. Trump was "last seen" on May 10. Footage was captured of President Tump and what appeared to be the back of Melania's head. Did she leave Donald Trump? "She looked attractive", said retired Sgt. 1st Class Diana Pike. On this occasion, she directly addressed the media's nutty speculation and reassured everyone that she was at the White House, that she was "feeling great", and that she was still hard at work carrying out her duties. It 100% reads like something that Trump himself would tweet, or someone who often tweets on Trump's behalf. Others had to keep an eye on social media. After realizing he'd spelled his wife's name wrong Trump quickly deleted the tweet and posted a new one with the correct spelling. So where in the world is Melania? She also took a lethargic five months to move into the White House after Trump did, languishing in their New York City residence and (evidently) taken a well-earned break. But you can wade through the weeds of Twitter if you want to see some truly wild amounts of speculation. She points out that the families are the story, not herself. 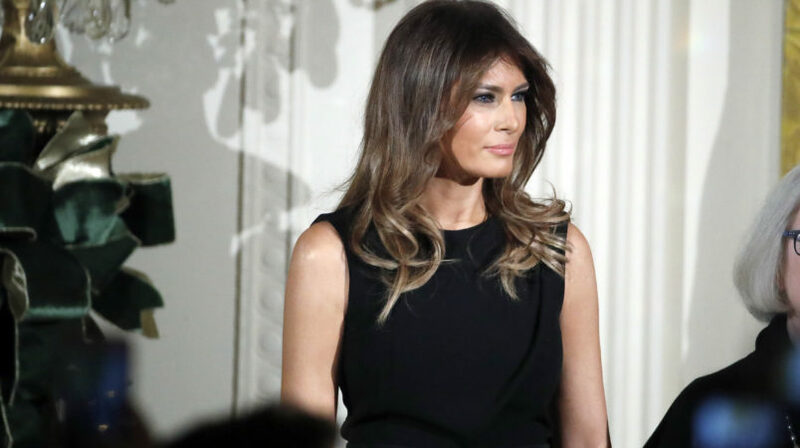 "Mrs. Trump has always been a strong and independent woman who puts her family, and certainly her health, above all else, and that won't change over a rabid press corps", Stephanie Grisham, the first lady's communications director, said in an email on Monday. In the weeks before, the first lady had organized a state dinner with France and saw her poll numbers rising. The White House said over the weekend that the first lady will not be traveling with her husband to the G7 meeting in Quebec this week or to Singapore for the June 12 summit with North Korean leader Kim Jong Un. Then she lowered the boom of criticism that America deserves transparency in the whereabouts of the First Lady. But, wait. We can't let politics escape even a good story about the First Lady. The whole thing is just odd and discomfitting.